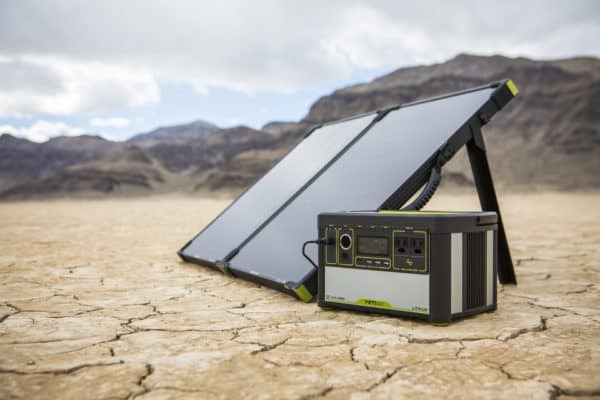 Earlier this year Goal Zero revealed their updated solar equipment and released the most powerful solar generator to date. The Goal Zero Yeti 1400 is a much more refined version of the earlier Yeti 1250 and uses a different battery technology. These generators are currently being sold on Amazon and can be easily shipped to your location. 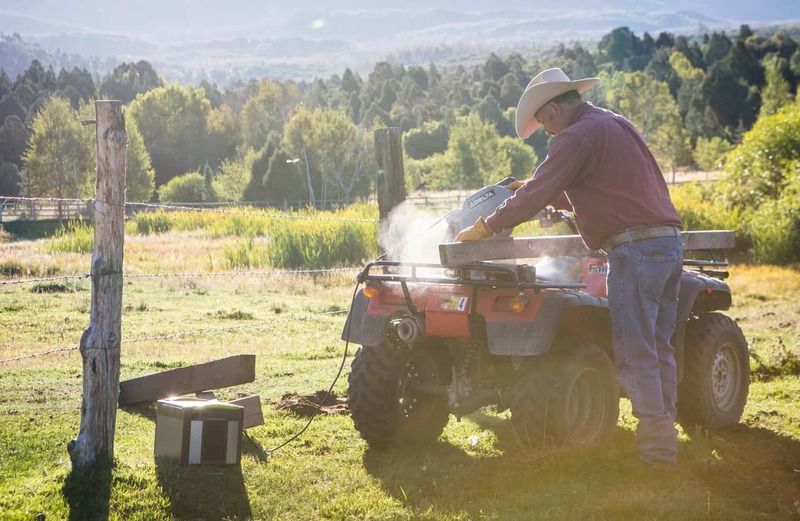 In this article we’ll discuss this new solar generator, its features, and whether or not you should purchase it yourself. 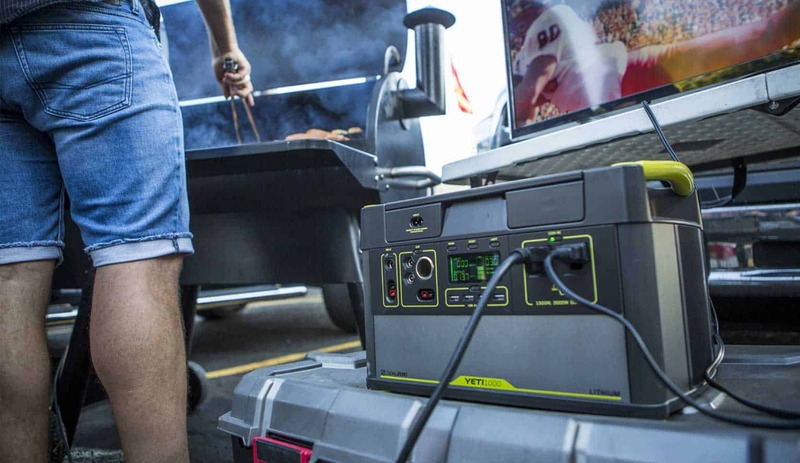 The Yeti 1400 solar battery is one largest battery packs on the market. It has a whopping capacity of 1425Wh, which is enough power to run a fridge for up to 24 hours. To make this even more impressive the battery itself only weighs 45.5 Pounds and has dimensions of 10.1 x 15.3 x 10.4. Making it the smallest solar generator in its power class. Not only is the Yeti powerful, but it’s extremely functional with its multiple charging ports. There are 4 high-speed USB ports, 2 AC Outputs, and multiple 12V outlets. 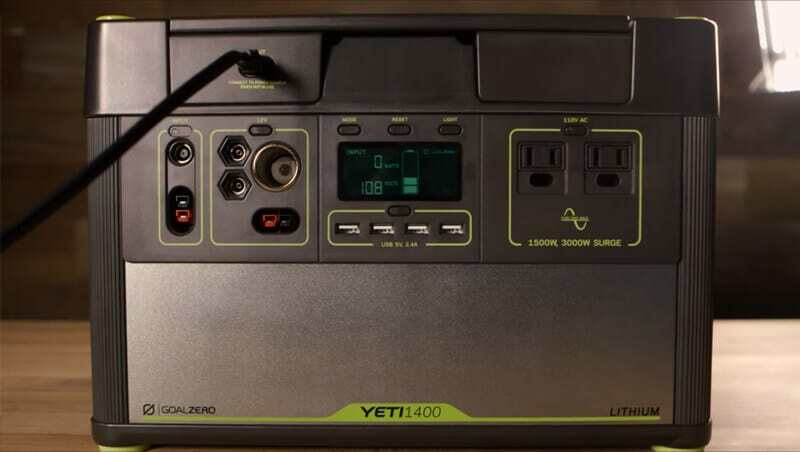 While the Yeti 1400 doesn’t have more outlets than other competitors like the RIVER solar generator, it still has many charging options that can power almost anything you throw at it. To power the battery are two charging options. You can use solar energy (6 hours using max input) or AC energy (25 Hours). In combination these two avenues allow you to keep the Yeti 1400 charged no matter where you may be. There are multiple Goal Zero solar panels you can buy with this product. Out of all of them we recommend buying the Boulder 100W solar briefcase. The Boulder is a high efficient solar panel that and can fully charge the Yeti 1400 in 1-2 days of charging. This panel uses Mono-crystalline cells and has one of the highest energy conversion rates on the market. In addition to this the Boulder folds in half for easy transportation. You simply fold the two panels together and lock the hinges. From here you can easily transport and store the briefcase where ever you like. Goal Zero is known for their quality products and this new Yeti doesn’t fall short of their reputation. The battery is built with a rugged plastic enclosure that keeps all the internals safe. The Yeti 1400 also includes rubber feet, durable plastic bumpers on all corners, and 2 large metal handles for easy transportation. In addition to this the Goal Zero solar panels are highly durable and can handle most weather conditions. These panels are built with strong tempered glass and a durable aluminum frame. They are also water-proof so you can leave them outside for days or months without having any issues. The Yeti also includes a large LCD display on the middle of the device. This screen indicates how much power is being used, how much power is being generated, the estimated time of battery life, and the estimated time till charging is complete. While this back light for this screen isn’t the brightest, it’s still very useful and perfect for when rationing energy. 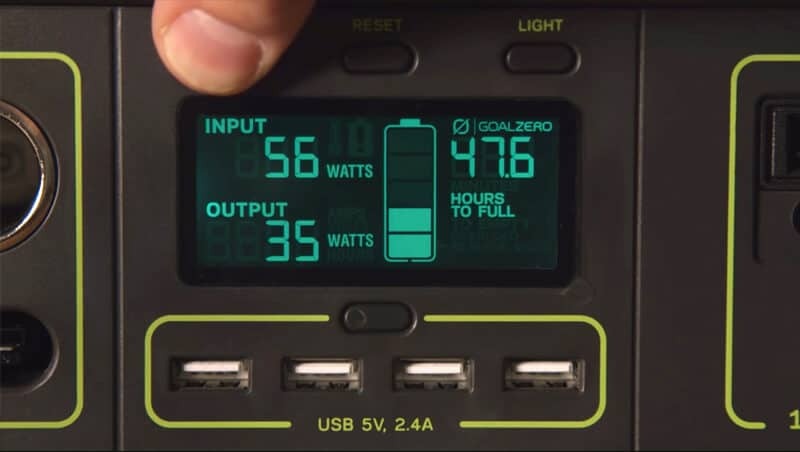 Overall the Goal Zero Yeti 1400 solar generator is a quality device. It is currently one of the highest capacity solar generators you can buy on the market and can power almost anything you need. For this reason this product is very popular for those who live off-the-grid and for people who make films. Since the Yeti 1400 is quality device, it’s also extremely expensive. It’s almost 2-3 times more expensive than most other solar generators on the market. For some this might not be an issue since this is the most powerful solar generator you can buy, but for others this will be a big factor that might steer them towards other options like the RIVER solar generator. With that being said this is a premium device that comes at a premium cost. If you want the best of the best then we advise you to look into this solar generator. It will truly serve you well and last years without issues.